The National Writers Union (NWU) and the American Society of Journalists and Authors (ASJA) filed comments October 17 with the US Copyright Office in response to pressure writers face in choosing between privacy and copyright protection. 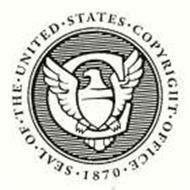 The Copyright Office recently proposed regulations by which writers—for a minimum $130 fee—could restrict some public access to the personal information they must include when registering a work for copyright. While that’s a step in the right direction, it doesn’t go far enough. It’s wrong that under current proposed US-copyright and “orphan-works” laws, which have already been enacted in some countries, writers must give up their privacy to preserve their copyrights. By providing their contact information when copyrighting a work, it becomes public record. If writers don’t provide sufficient personal information so someone who wants to copy their work can find them, or don’t respond to a request for reprint permission, the would-be licensee can claim that the rights are “orphaned,” and copy the work without permission or payment. On the other hand, if they don’t register their project with the Copyright Office, writers can’t defend their rights to sue to enforce the copyright or collect statutory damages or attorney’s fees when a copyright-infringement lawsuit is successful. In this rulemaking, the Copyright Office has proposed to revise its Privacy Act regulations and its regulations for registration of copyright related to the maintenance, public availability on the Internet, correction, amendment, and removal of personal information. We welcome these changes, and we commend the Copyright Office for recognizing some of the reasons why some writers don’t want their personal information publicly available. However, the need for this rulemaking is symptomatic of a larger problem that calls for additional regulatory and legislative action: Writers are being forced to choose between revealing their identities and personal information or risking the loss of some of their rights. We should not be forced to choose between protecting our privacy and protecting our copyrights. Rather than the partial privacy patch provided by the proposed rules, we urge Congress and the Copyright Office to address the causes of this dilemma, and repeal the registration requirements for enforcement of copyright and remedies for infringement (17 U.S. Code §411 and § 412). And, in light of the privacy issues highlighted by this NPRM, we encourage the Copyright Office to reconsider and withdraw its proposal for legislation to categorize rights to any work as “orphaned” and fair game for unauthorized and uncompensated copying if an author has not chosen to make public sufficient information that they may be contacted by would-be licensees, or deliberately or inadvertently does not respond to licensing requests, regardless of how actively they are exploiting the rights to there work. Privacy and copyright are fundamental rights. Writers should not have to choose between them. New technologies have created expanded opportunities for writers to distribute, exploit, and generate revenue from their works without divulging their personal information, and without the need for a publisher or agent as an anonymizing or privacy-preserving proxy. These gains should not be undermined by Copyright Office regulations or US law, or by copyright registration procedures. We’ve been disappointed that librarians and civil libertarians, who normally defend the rights to privacy and anonymity, generally haven’t yet recognized the threat to privacy posed by copyright registration and “orphan works” laws. We hope that our response to this Copyright Office rulemaking will help bring these issues into sharper focus.